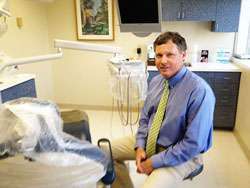 Frederick G. Lehmann, DDS, PA offers you effective dental care to restore the health of your teeth. We have the CEREC system available for perfect, single-visit, chair-side restorations, design control and superior esthetics. Our cosmetic services can give you a whiter, brighter smile.